Before anything else, I just gotta say this first: 2017 was freakin’ amazing. (2017 year in review). Looking back, it has already been 4 years since I last made the big decision to leave my ‘secure job’ for the pursuit of a seemingly elusive dream. 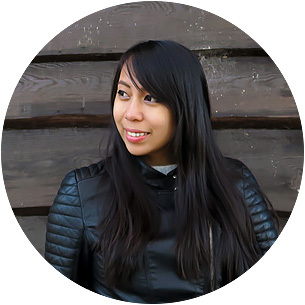 Young and broke, that time was a terrifying period in my life — this is why at times, I still can’t believe how I’ve managed to build a successful business and a travel blog within a year after that. 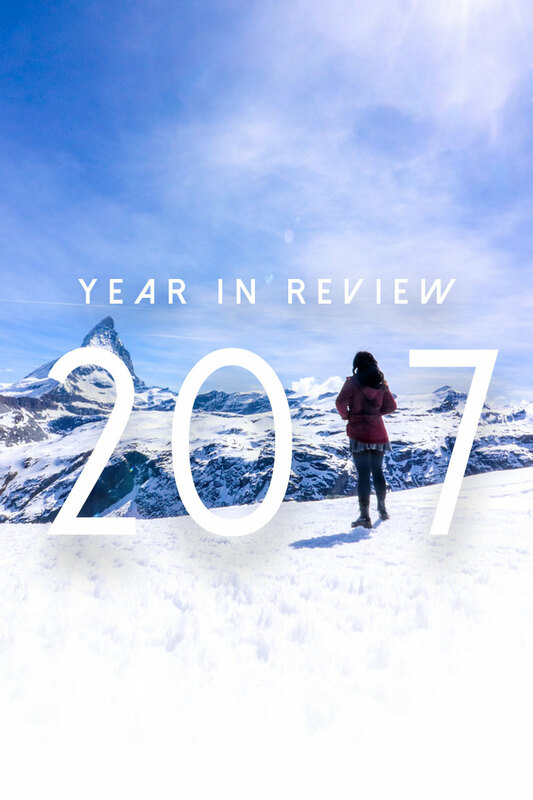 And now, as the new year creeps in, I would like to share with you my 2017 adventures that were full of lived dreams and conquered fears — with the hope that it will also inspire more journeys of your own! PSSST! Do you wanna read up on my previous ‘Year in Review’ posts? Year 1, year 2, and year 3 will be up SOON — stay tuned! COUNTRIES: Out of the 20 countries and territories that I’ve visited this year, 13 are spankin’ new! For a total tally, I’ve already been to 44 countries and territories all over the globe by the end of 2017. CONTINENTS: I managed to scratch off 2 new continents — thanks to my epic expedition to Antarctica with Hurtigruten that started in Argentina. In total, I have now been to 6 continents and I only have Africa left. I hope to make that happen this 2018! PLANES: Most rides were sponsored, and I actually count them from take-off to landing with the exclusion of layovers. Still and the same, I did a LOT of flying! …Which worries me because airplane rides are not exactly eco-friendly; but, it’s just something I can’t really avoid with my line of work. So with such a number, I always make it a point to travel sustainably by doing ‘carbon offsetting‘ (donating to projects that reduce greenhouse gas emissions), choosing greener accommodations, participating in eco-conscious tours, etc. That being said, I hope you guys do the same! JANUARY Back home after 10 years! PHILIPPINES. I haven’t had the chance to visit my hometown (Batanes) for over 10 LONG YEARS and… it’s embarrassing, I know! But like they say: it’s better late than never — thanks to a good childhood friend of mine, Aludia, she helped me come back before I started to hit my eleventh year of absence. (FYI: My family and most of my relatives were no longer living there so I never really had a strong reason to make some time in visiting). It goes without saying that it felt great to be back there again! Though things seem to have drastically changed, I realized that what essentially changed wasn’t my hometown — but me. That was a bit ‘cryptic’, but I bet some of you guys can somehow relate especially if you’ve been away from home for a very long time. VIETNAM. 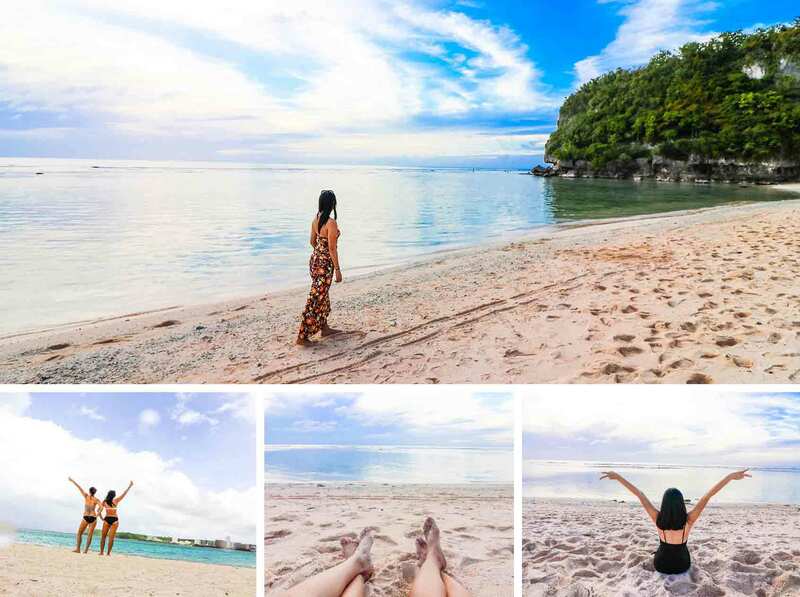 After my best friend (Celine) quit her job, we decided to ‘celebrate’ this event by traveling to somewhere outside of the Philippines. This was actually the first time that we traveled together, so it was quite an exciting experience for us! Moreover, they do say that travel can be a great relationship test — we kept joking about how we might not end up as the best of friends anymore after everything is done with, but as expected, this travel spree strengthened our bond more. 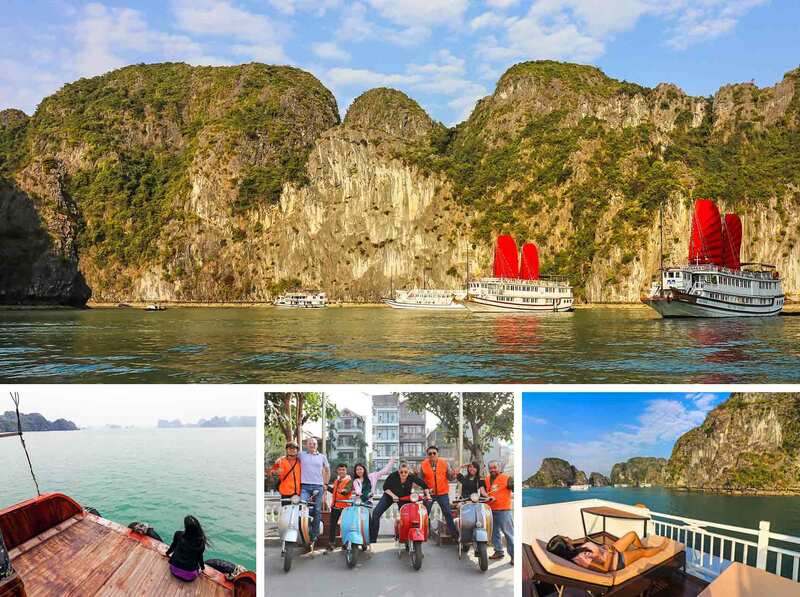 For this visit, we first headed to Halong Bay to sail along its limestone cliffs for 3 days on a luxury cruise. Before flying back home, we explored Hanoi on a Vespa and stuffed ourselves with tons of food and sights. GUAM. Celine and I couldn’t get enough of each other — haha — so we booked flights for Guam just a few weeks after Vietnam. We ended up choosing this U.S. island territory in Micronesia because we wanted to go someplace out of Asia (…it also helped that we both had USA visas and that there were promo fares). Without a doubt, Guam is a small destination, but we were surprised at the wide range of beautiful attractions, activities and landscapes that helped fill up our days. Mind you, this is apart from the frenzied shopping that we’ve done. One of the best discoveries we’ve made is Ross Stores: it was filled with great finds at very cheap price points! Before our trip ended, we even met a fun group of Chinese locals who helped tour us around the island. For the most part of this affair, we stopped by hidden beaches and you bet that we worked on our tan. The month in this ‘2017 year in review’ where I visited the most number of countries! SWITZERLAND. I haven’t done a lot of collaborations with brands from my home country because my blog audience mainly comes from the USA and the UK (though if I do have a big chunk of PH audience). That’s why this trip to Switzerland, which was in partnership with the Swedish Embassy in the Philippines, was the first biggest project that I’ve done with a Filipino organization! I was so hyped for this, also because Switzerland is one of those European countries that I haven’t managed to visit when I was still living in Europe for 2 years. 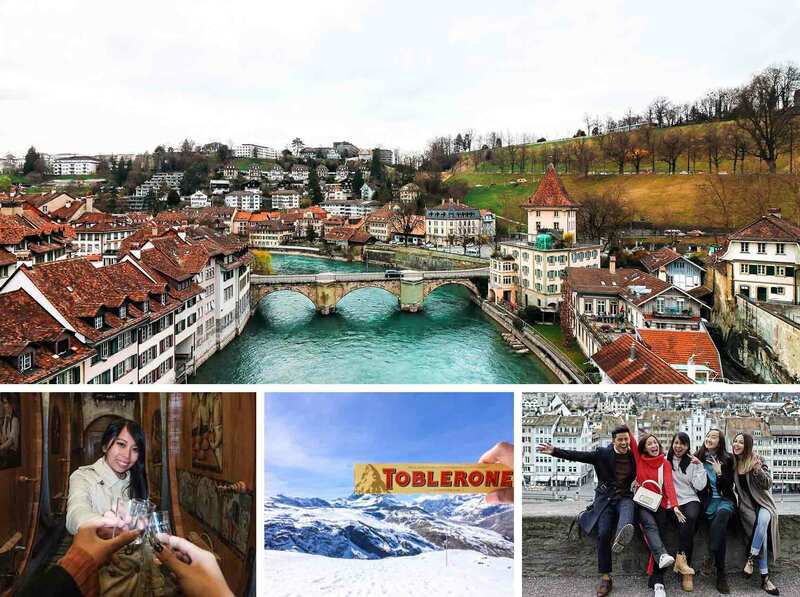 So together with some other popular bloggers from the Philippines, we visited beautiful cities like Bern, Lucerne, Thun and Zurich which were amidst high alpine peeks, sheer valleys, and crystal clear lakes. After the week-long trip, I didn’t immediately go back to the Philippines though because I decided to stay behind and visit other places like Zermatt which has the symbol of the country: the Matterhorn. FRANCE. Since I was already in Europe and armed with a Schengen Visa, I decided to squeeze in some other countries including France. I’ve already been to Paris for numerous times, so it was time for something new. As such, I flew by myself to the colorful city of Nice, followed by a stopover in the tiny city-state of Monaco! During this time, I met a stranger (now a new French friend) in the streets of Nice and his name was Jules. 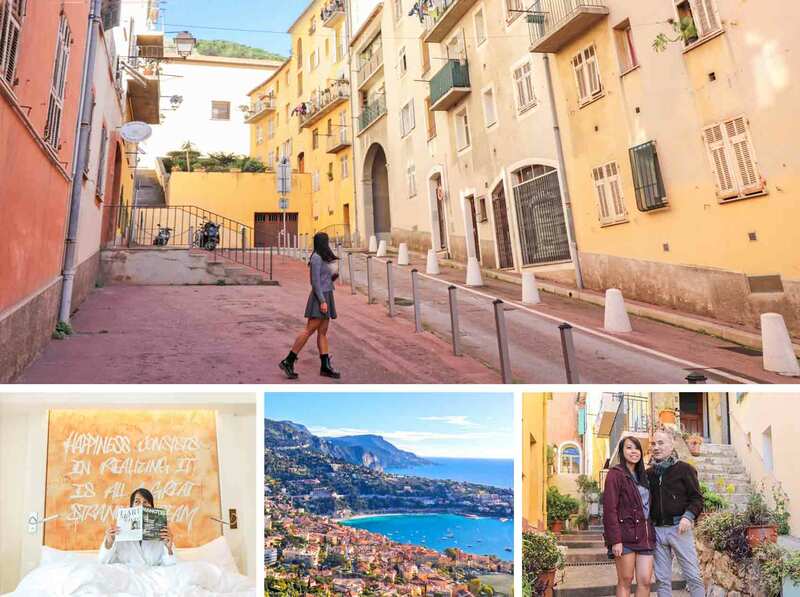 He offered to tour me around the picturesque towns in the French Riviera on his Vespa and of course, I was reluctant at first… but the circumstance felt right and safe. I gave in — and I’m so glad I did! Jules was quite a personality and I learned a lot of things from him. Turns out, he was a famous French artist and director! His full name? Jean-François Ferrillon. It was great to ‘pick the brains’ of an artist like him because it was like stepping into a whole new world! ITALY. Yet another new European country that was high on my travel list. As someone who is into the Roman Empire’s history, I made sure to make a stop in Rome and the Vatican (thanks to Through Eternity Tours). I only spent a few days there, but as a whole, it surely was everything that I imagined it to be — and more! I’m already planning on revisiting this city so that I can stay a longer time and thoroughly explore the ruins. Meanwhile, a trip to Italy is not complete without checking off the famous lagoon of Venice. A lot of people actually dissuaded me from visiting this place because they say that it’s always packed with tourists; however, if I follow that advice then I would never see the places that I want to see, right? 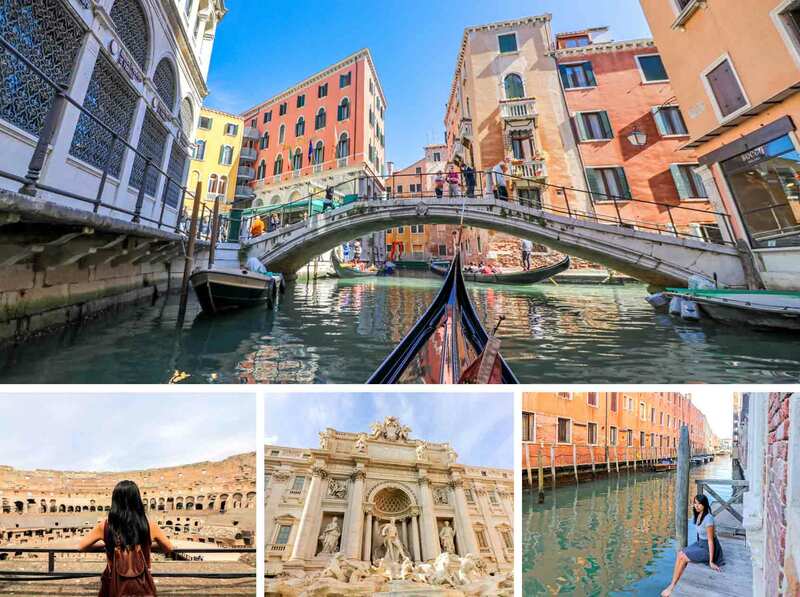 So I went and I had a swell time exploring the areas around the Grand Canal (even riding a gondola at one point) whilst enjoying cups of gelato from time to time! (To add, there weren’t that many tourists during this time of the year and the weather was also perfect). Before ending my stay, I went a step further and ventured out to the nearby island of Burano which is known for its bright pastel houses — a place I highly recommended that you make time for when you’re in Venice. BELGIUM + NETHERLANDS. I have a ‘2nd family’ in Belgium who is actually my ex’s family. We’re good friends and business partners now; plus, I’m very close to his parents, so when they found out that I was in the Schengen Area, they insisted that I visited them — of course, I was happy to go! Apart from spending our days talking and shopping in Malle and Antwerp, we also dedicated some days of travel by going to the neighbouring country of Netherlands. One place that we visited which was quite breathtaking is Giethoorn, said to be the ‘Venice of the Netherlands’. It’s lauded not only for its beauty but for its uniqueness as well because this is a village which has NO roads; instead, it has wide picturesque canals or waterways with nearby foothpaths and old thatched-roof houses. The other cities we visited were Bourtange, a star-shaped fort in a village in Groningen, as well as Utrecht, a city with a medieval old town and an iconic 14th-century bell tower called as Domtoren. PHILIPPINES. After I got back from my European trip, I had yet another project with a big airline in the Philippines called as Cebu Pacific. They wanted me to take on a budget travel challenge wherein they will fly me to an unknown destination for a few days and survive with only Php 10,000 on hand or around $200 (I may be a luxury traveler, but this budget was more than enough *wink*). The destination ended up to be the province of Masbate which is fortunately a place that I haven’t visited yet in the Philippines. When I landed, there happened to be a big festival going on so it proved to be quite a challenge to find an accommodation. Just when I was loosing hope, a lot of kind-hearted locals came to my rescue; moreover, there were even a group of fellow Filipino tourists who took me touring together with their group (and they would NOT letting me pay for anything! Haha). This whole trip was a perfect example of how big the hearts are of Filipinos. My total expenses after 3 days? Only about Php 2,000!!! (That’s about $40 only). You can read all about my experience here. Before ending the month of April, I also went to yet another new province in the country together with my sister. 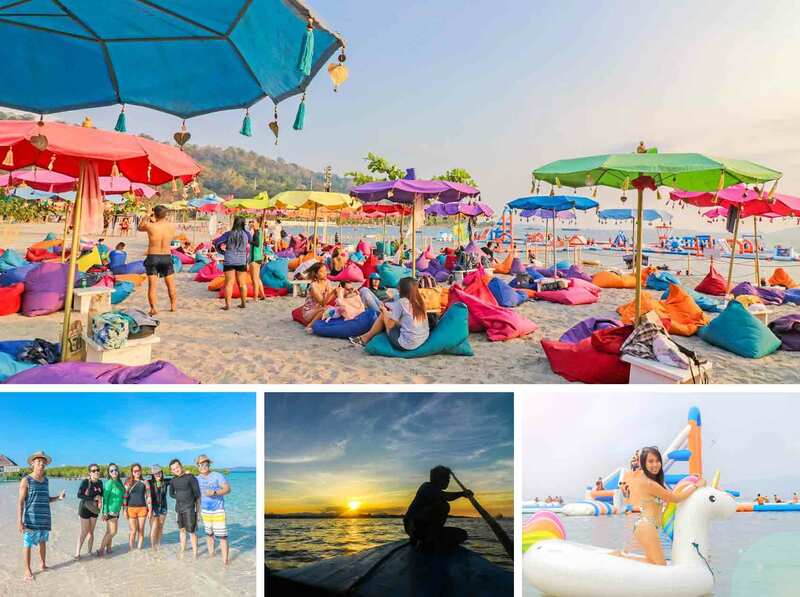 The area’s name was Subic and in there, we visited Asia’s biggest inflatable playground: Inflatable Island! CHINA. This country finally became a reality for me! …However, this trip was not for my blog nor for personal leisure because I went here instead for business. As some of you might already know, I run an online business which is totally unrelated to travel. Basically, I sell products on Amazon in which its suppliers are from — where else, but — China. The funny thing about this is that since my business can be run online, I NEVER had the chance to meet any of our suppliers until this trip. So naturally, this was quite an interesting journey! 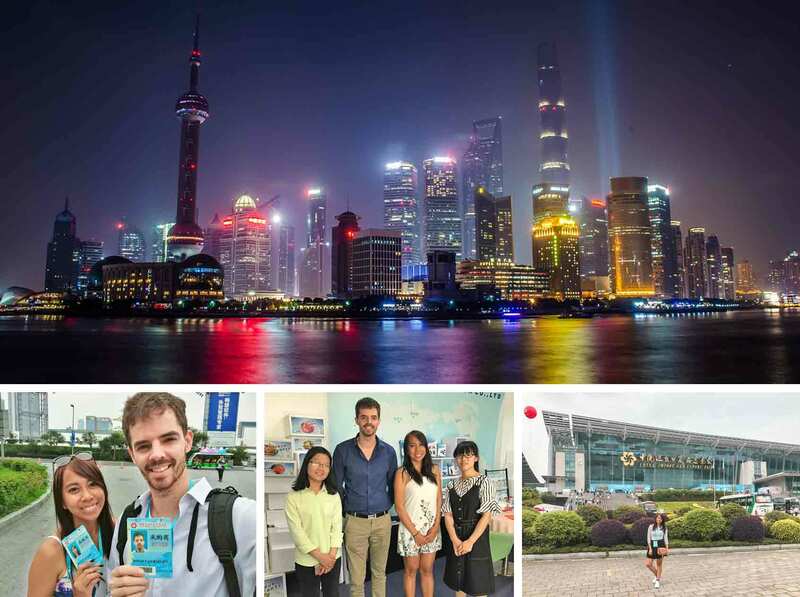 While I was also here I attended the famous ‘Canton Fair’ in Guangzhou together with my business partner, Jonas. This affair is where a lot of Chinese suppliers gather yearly to present their products to interested businesses. Anyhow, in matters of enjoyment, I managed to squeeze in some sightseeing in Shanghai! NEPAL. One might immediately assume that I went to Nepal to climb the famous Himalayas. Don’t get me wrong… I would have loved to do that! 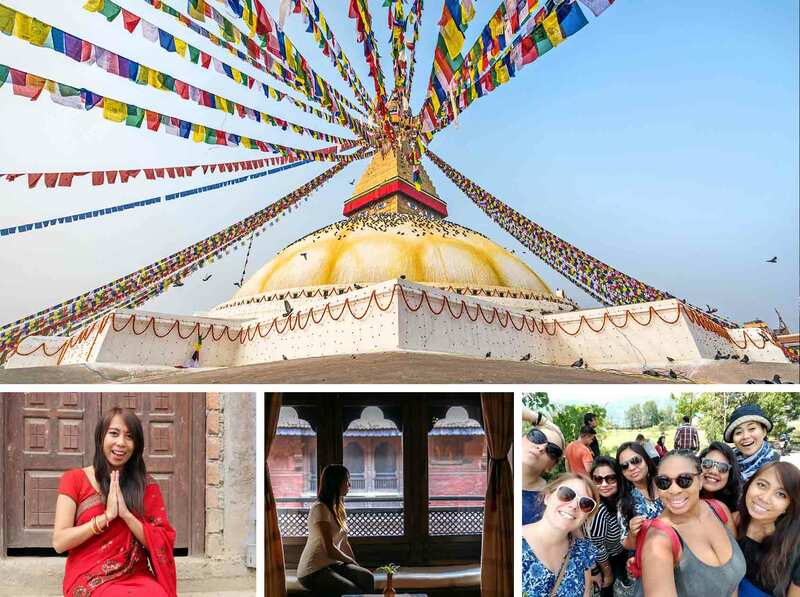 But since I was in no condition to do that, I settled for a more leisurely trip as I filled my days with cultural activities — all thanks to the sponsorship and invitation of the Nepal Tourism Board who invited me to attend their first ever Himalayan Travel Mart. This was actually my first travel mart and it was a lot of fun especially because I met a lot of fellow travel bloggers and forged strong bonds with some of them. Once this formal conference was done with, we did a tour to some of Nepal’s cities and I was awed by the culture and the landscape. I also got to experience my first homestay from which my host mom made me wear a sari, a traditional clothing which I have been dying to try ever since I first laid eyes on it through books and Bollywood films. (Some of the Indian bloggers that were with me were joking that with what I was wearing, the only thing I was missing was an Indian groom LOL). The only thing I didn’t really do while in this country was exploring more of its natural terrains, an activity that I would have loved to do (it’s no news anyway that I regularly do hikes in my travels). In fact, I would have loved to go up the Everest’s Base Camp — but… there just wasn’t much time nor training on my part. Hopefully though, I get to do it when I come back to Nepal! THAILAND. It has been ages since I last set foot in Thailand so I made it a point to make a stopover here before heading off to my next destination (which was Laos). The place I visited before was Chiang Mai; so for this time around, I opted to explore the capital of Bangkok and I had a swell time! I was actually hosted by the hotel of Sheraton Sukhumvit and one of their staff, Tarnzie, was accompanying me all throughout my stay. With all the wondrous sights I’ve seen and the delectable Thai dishes I’ve ate, Tarnzie was a joy to be with — so much that she is now one of my best Thai friends (we still keep in touch!). Thanks also to her tips, I had so many days that were well spent in the city. 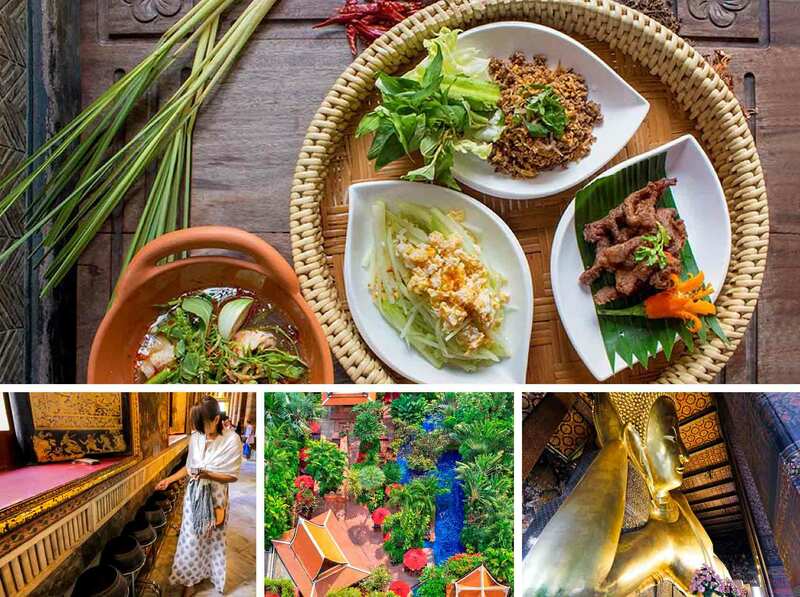 So if you want to experience it too, you should come and check out my 24-hour guide in Bangkok. LAOS. I wanted to witness more kinds of travel conferences so just a few days after the Nepal travel mart, I jumped on the opportunity to attend the Mekong Tourism Forum that was being held in Luang Prabang in Laos — a UNESCO World Heritage City. As a new country on my list, I loved the laid-back setting that Laos had, and it was quite refreshing to have some of that tranquility after the hustle and bustle that I did in Nepal and Thailand. One particular event I witnessed that remained to be a memorable experience for me was the Buddhist Alms Giving Ceremony, a sacred Lao tradition that remains to be practiced to this day. Regrettably, there are several intricacies in this ceremony which not a lot of tourists take the time to know; that’s why I felt fortunate that I was a part of the group that was given the chance to talk with some of the monks regarding the things that they regarded as acceptable and not. I will write more about this in detail later on, but the bottom line is that the monks are not bothered by the rise of tourism nor the participation of outsiders in the ceremony as long as we remain to be respectful and mindful of our actions during the affair. JAPAN. I would never say no to the chance of revisiting Japan — no matter if I’ve already been there for numerous times! So when the Chubu region invited me to visit and promote their area, it was definitely a fast and easy ‘yes’ from me (more so because I haven’t been to this prefecture yet). After my week-long trip there, I am absolutely urging you to make some room in your Japan itinerary for Chubu’s hidden gems. Besides, there is a range of unique and fun activities that you can do here which you can’t do anywhere else: talk and play with geisha for an affordable price, make sampuru in Japan’s fake food capital, walk through a 20-meter high snow wall, and more! USA. Remember that childhood friend I mentioned on my trip to Batanes? Well, after we had a swell time of reconnecting in my hometown, she asked me if I wanted to tag along on her trip to the west coast of the USA — I thought, “why not?” America is such a big place and I have only been to New York. So for almost 2 weeks, we went on a road trip that started from San Francisco to Los Angeles in California and then eventually to Las Vegas! To sum it all up: this was a trip with a LOT of ‘firsts’. Aside from the fact that it was my first time in these 2 states, my other firsts were that I managed to: drive a car in the most number of kilometers in my life (so far), ride a ridiculously fancy fast car on a Las Vegas race track, watch a thrilling show of Cirque du Soleil, visit the original Universal Studios in Hollywood, see the Grand Canyon by air + water + land, and so much more! PHILIPPINES. I’m at an age wherein a majority of my friends are starting to marry or have kids. I honestly don’t see myself settling down just yet (or ever? I dunno!) but for my friends, I’m incredibly happy that they have found their happiness. 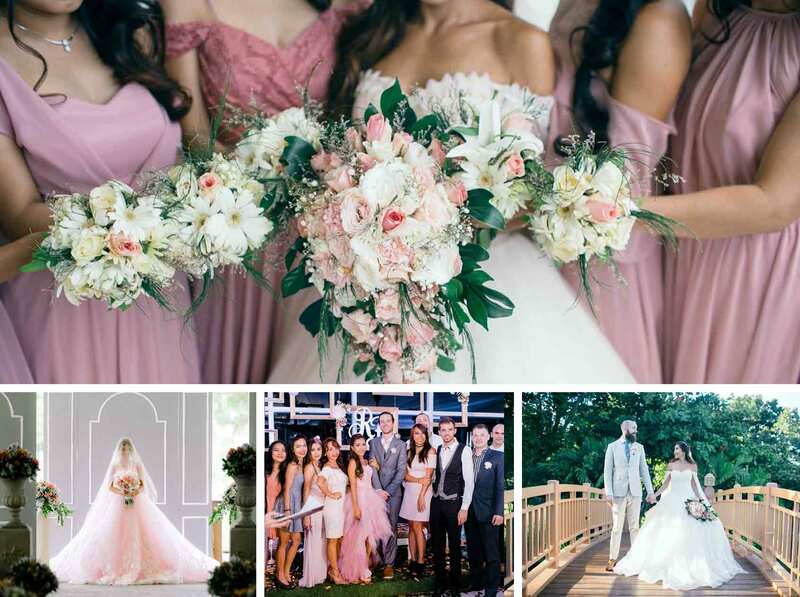 ♥︎ Two of my friends in Cebu happened to have their weddings in this same month and are also just a week apart, so the whole of July somehow felt like a giant celebration! TAIWAN. After I became the ambassador of KKday, they gave me the chance to hold a giveaway wherein I can take the winner with me to an all-expenses-paid trip to Taiwan! I was extremely excited for this, not only because I was giving my readers an amazing opportunity to go on a free trip, but also because Taiwan has since been a destination that I wanted to check off my list (especially because it is a place that is SO close to my hometown – in fact, we can get signals of their radio stations and we regularly imprison some of their fishermen as well who go way over the sea borders of the Philippines LOL). 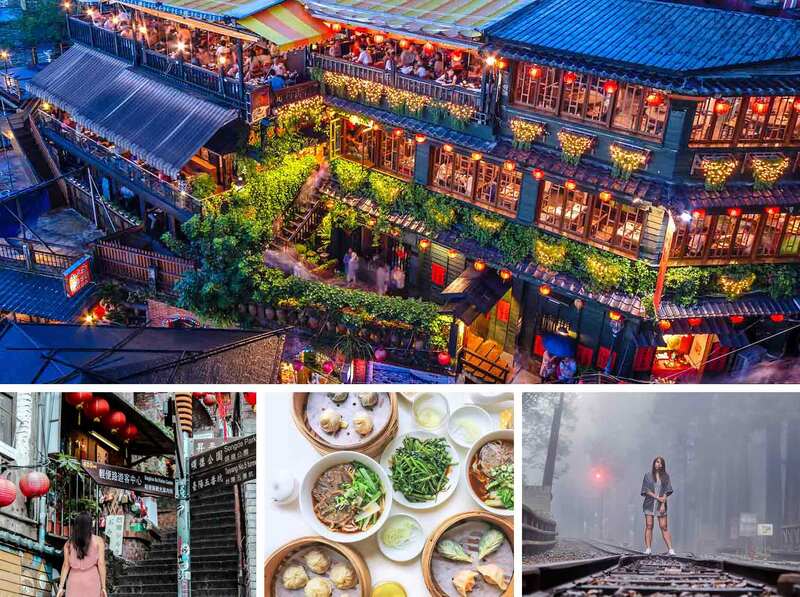 To cut the story short: one of my readers, Robelle, came to Taiwan with me and we had an amazing time stuffing ourselves with good food and frolicking around the country’s famous sights! We only spent 3 days here though, so for sure, I aim to come back for more. HONG KONG. September is my birthday month and I decided to spent the majority of my time just chilling at home so that I can take a breather from it all. However, due to visa reasons, I needed to travel to Hong Kong — so it didn’t end up as a travel-free month (yeeeep, NO travel often equals to relaxation to me haha). But it was fine either way because it’s been a while since I last visited this place which is, in fact, the first foreign country that I traveled to. 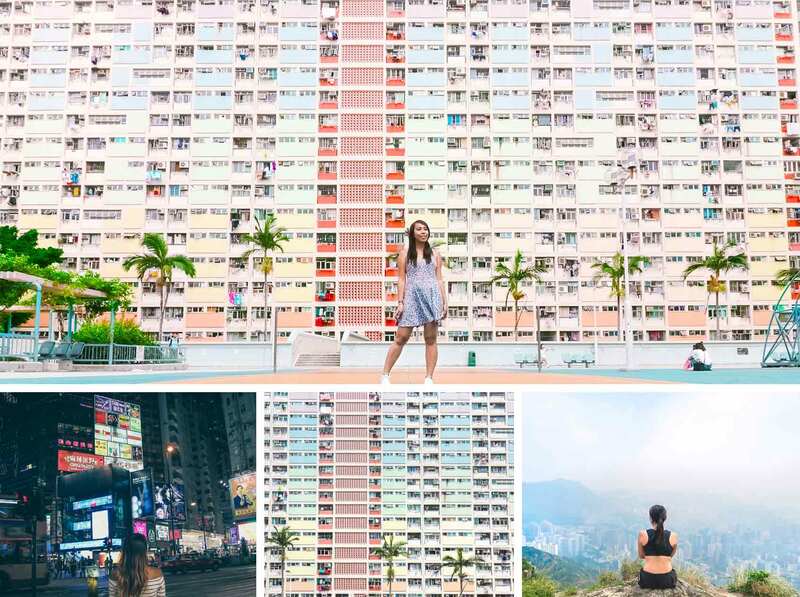 I didn’t spend so much time sightseeing there, but I did climb up the famous ‘Lion Rock’ as well as visit the Instagram-famous pastel buildings in Choi Hung Estate! INDIA. I finally landed in India — thanks to the team of the Madhya Pradesh Travel Mart who invited me to attend their annual event. Because of this, I had the chance to explore an off-the-beaten-track Indian state which had a number of amazing natural parks, one of which is Bandhavgarh where I fortunately spotted a Bengal tiger in the wild! My jaw literally dropped to the floor when I saw it… it was remarkable. After the travel mart, I met up with a friend of mine from Delhi who was actually one of the Indian bloggers that I met back in Nepal. Together, we flew to the state of Rajathan to visit Jodhpur: the “Blue City”. When I saw the majestic forts, the dry terrain and the colorful culture of this city, I was just simply blown away by it all because it just shows a portion of how India is a diverse country in itself! Moreover, during our stay in Jodhpur, we stayed with the luxury hotel of Mihir Garh and it was absolutely one of the best accommodations that I have ever stayed in. (I particularly enjoyed the Signature Experiences that they had wherein I interacted with the local Bishnoi community and watched a royal ‘Shikar’ dinner). ARGENTINA to ANTARCTICA. THIS trip is the highlight of my 2017, if not the highlight of ALL of my travel years! After all, this ‘southern end of the world’ is one of the world’s most elusive destinations in which a few number of people can venture into (because of its location and costs). 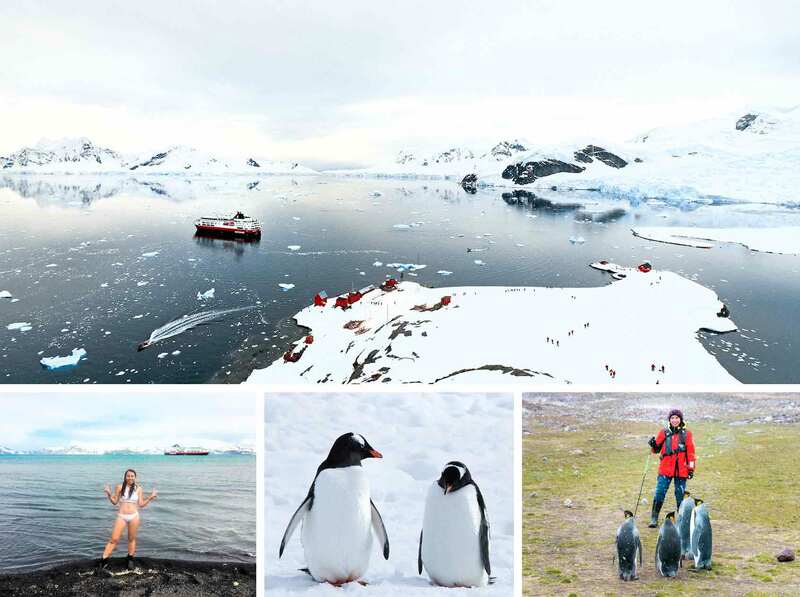 Needless to say, I am extremely grateful that through this travel blog of mine, an amazing Antarctica expedition provider had agreed to bring me there for FREE in exchange for online promotion. I still vividly remember the day when I first got that email of approval because I was extremely incredulous yet also brimming with joy — and even when it did happen and I was already on the ship, I continued to pinch myself just to make sure that I wasn’t dreaming! By the way, Antarctica is one of my “Triple A” travel dream destinations (the other two are Africa and the Arctic Circle) and I would have NEVER guessed that I would be checking it off FIRST before the other two. To date, Antarctica is my 44th ‘country’ and my 6th continent! If you want to learn more about my itinerary, please stay tuned for my future Antarctica posts which should come up this first month of 2018. Going by how 2017 played out, you bet that I’m excited for what 2018 has in store for me. Speaking of which… time flies by so fast, doesn’t it? Just a few years ago, I was only getting by and almost succumbing to depression; and yet now, I’m living my dreams and feeling wholly content with where my life is heading. Of course I still have my fair share of ups and downs; but I’ve long learned how to roll with the punches — besides, it’s just how life is = a whirlwind of ‘adventure’! Now, you might be wondering: what’s next this 2018? Am I going to rest and take things easy, maybe even go on a travel hiatus? Or am I going to be more aggressive and check more countries off of my list? There certainly are a LOT of countries out there that I haven’t seen yet and which I will always aim to visit; but like always, I will take things easy. As a matter of fact, I might make it a point to have some months with no traveling at all. Nonetheless, if an opportunity comes, I will definitely board an airplane in a heartbeat! It will all just be about balance (which thankfully, I’m starting to get a hang of). All in all, I’m incredibly grateful that you were a part of my 2017 journey, and I hope you will stay tuned for more travel shenanigans ahead! What do you think of this ‘year in review’ series? Should I keep doing it? What are your travel goals this 2018? Wow! That's a lot of places in 1 year. I wish I started my travel blog earlier like you so I can just fly on a whim. Now, our travels revolve around the kids. Still fun but definitely different. 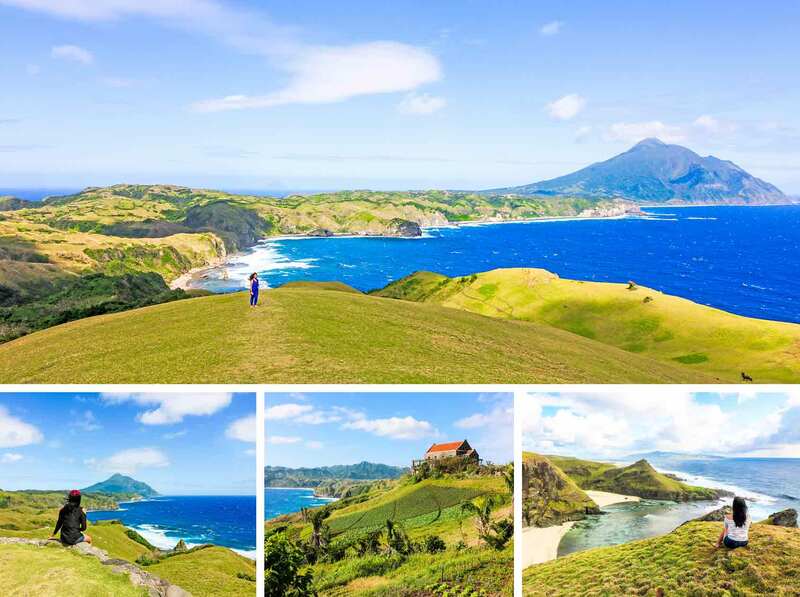 I grew up in the Philippines but have never visited Batanes. Maybe someday. Sometimes we travel more outside where we live. Hope to bump into you at the airport. I just have two girls in tow though with a backpack filled with blogging tools and mommy tricks. Haha. Have fun this 2018! Anything is possible, as they say ;) I believe you have ways. But thank you so much! I hope you get to visit my hometown. :D I wish you more adventures and blessings this year. Oh my God, your pictures are absolutely STUNNING!! What camera do you use, if you don't mind me asking? And editing software? I can't believe you got to see so many amazing places and eat such delicious food. Those small, hidden beaches in Guam- don't you just love when you find little gems like that? I was really happy to see your photos from Belgium- and it's lovely that you keep in contact with your ex's family. I'm the same way in that respect, and still consider them members of my "tribe". My husband's father's actually from Antwerp and I've never been- so seeing the quaint, little photo from a semi local site was intriguing. Thank you for sharing your year review and the stunning imagery. If I ever need to edit, I just use Adobe Lightroom for minor editing. Anyhow, I hope you get to visit Antwerp! I actually love that city more than Brussels (shhhh... haha). Anyhow, I wish all the best for you this year! And thank you for taking the time to leave a comment. I really like how you shared your stats with us like that…it's so cool to have been able to travel to 5 continents – wow! I haven't come across someone who has actually been to Antarctica. Your photos are also beautiful. I would like to go to Guam one of these days…specifically because they have a village named Yona, and I think it would be cool to visit it. Thank you so much! I hope you get to make that Guam plan come true. Let me know! Wow, you've really been bitten by the travel bug. It looks like you're really enjoying traveling. I hope in 2018 you continue to balance your work and travel well. Yep, I really do!! I have been since 2013 haha. Thanks Clara, I hope the same for you too! WOW, first your images are BEAUTIFUL! Second, wow you had some adventure last year visiting all these countries. What a beautiful experiences and the memories OMGoodness I'm sure they will be forever in your mind and heart. I love that you where able to go back to visit your hometown. I would love to take a traveling journey to some of these countries, can't wait to see what 2018 has in store for you after you rest. Thank you so much Lisa! A part of me still can't believe that this is my life now but I'm always eternally grateful. Anyhow, I hope the best for you too this 2018! Your 2017 is what I want my 2018 to look like. I would love to travel to even at least one of the places you had the opportunity to explore! I can't wait to see what else you do in the new year. Good luck to you! Then I wish all the best for you this 2018! All the best to you too! Wow! What a spectacular year of travel! Your photos and videos are remarkable - such a great way to remember the adventures you've had. The Antarctic photos are my favourite - would love to go there and see my boys experience the amazing wonder of the southern most part of the world. What's on tap for 2018? Where will your travels take you this year? Thank you so much Kerrie! I've got some destinations lined up this year like Russia and some few other countries that will be new to me. How about you? Wishin you an amazing 2018! Omg, I absolutely love this post! That video was awesome. You definitely had a wonderful 2017. Where are you heading in 2018? It's funny how we have almost the same story about our jobs and pursuing travel but I think you're braver than me to pursue yours much earlier. I've always been offered jobs and every time I accept them due to their offer when in fact I really just wanted to work at home. Every time, I leave before or after a year, this time I work at home and it will be my 1st anniversary at my current job this February 1st. And I've been feeling this urge to quit my work and just focus on my business and blogging. It's that 'quit work before or after a year anniversary' for me again. And my business is what you call 'nilalangaw na' because I'm really loaded every day, work-creating blog content-social media-rest. I literally don't have time to focus on my business so I can have a 2nd income to fund my travels. The sad thing is I kept saying to my friend that I want to quit and just travel the world but sacrificing my work income is what detains me. It horrors me thinking what if this business fails, all my saving will be for nothing. It's a risk that I really need to think about. I think I'm really jealous of the lifestyle you have now. I just hope I can make my dreams a reality (soon) haha... Sorry, I think I just want to reach out to you and tell you my inner thoughts everytime I see your posts as it is truly inspiring. I have so many things I wish I started earlier..
Hey Fiorucci, thank you SO much for taking the time to reach out! Thanks as well for trusting and sharing me with your story. I can somehow relate to what you're going through. I had the same similar experience (like you say), and throwing myself into my dreams was like jumping into an abyss. I can imagine that you're somehow in the same situation. And yeah, it does take a lot of courage (maybe a tad of foolishness haha) to plunge into a risk wholeheartedly (like I did). But I believe, in time, you will find that courage to focus on something that you really want. And I even believe that things will push through for you! It's never too late. There's no such thing as being too early either. What matters is that you will do it. Hang in there!! !